Home air quality is not something many of us consider regularly. Whereas outdoor air pollution is regular concern for many Americans, the quality of the air we breathe in our own home is often neglected. And while indoor air quality should always be considered, it is especially important to review your home's air quality during the winter months when your home is less likely to circulate outside air. Below are just a few ways to help you improve your home's indoor air quality during the stuffy,winter months. One of the easiest ways to improve your home's air quality year round is to clean your house. By vacuuming your carpets, mopping your floors and eliminating dust, you can help reduce the amount of particulates trapped in your home. Particulates such as dust can build up quietly over time and slowly impact the quality of your air. And in the winter months when your home is generally closed up and your snow boots may track in small objects like rock salt, it is incredibly important that you are regularly cleaning your home. Humidity can be a real challenge in the winter. Typically when you heat your home for the winter, you reduce your home's humidity. This dries out the air and can contribute to a scratchy throat or dry skin. To help combat this, consider investing in a humidifier. These devices, which can either be portable standalone unit or installed into your duct system, will help add some much need moisture into your home's dry, winter air, allowing you to breathe a little easier. One of the most challenging aspects of indoor air quality during the winter months is the lack of circulation. As you're unable to open any windows in your home during the winter, it can be hard to get fresh air into your home. An easy solution is to use fans in your home to help move air around your home. While this won't bring in fresh air, it will help prevent your home's air from feeling stale. In some more modern homes, the HVAC system is equipped with a ventilator system which helps exchange air in your home while minimizing heat loss during the winter. Another great way to improve your home's air quality while also adding a little life to your home, is to invest in a few house plants. Plants will consume carbon dioxide and replace it with fresh oxygen. They also can help add humidity to your home. Consider adding a few plants as a creative way of improving your home's indoor air quality during the winter. 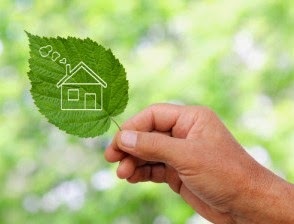 Improving your home's air quality during the tough winter months starts with knowing your home. Whether you're finding air leaks to repair or weatherproofing your windows, these are important first steps in controlling and improving your home's indoor air quality. And by following some of the suggestions above, you can start to breath easy all winter long.